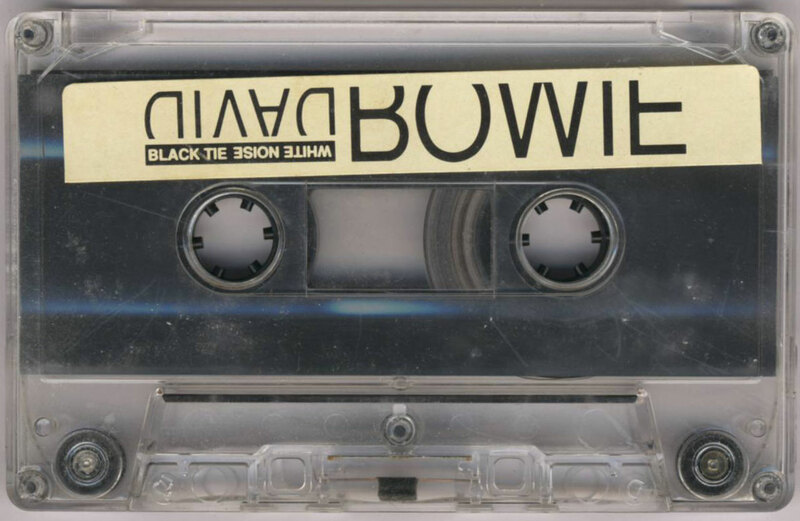 Black Tie White Noise ‘Excerpts 1993’; USA; Arista/ BMG; 1993. 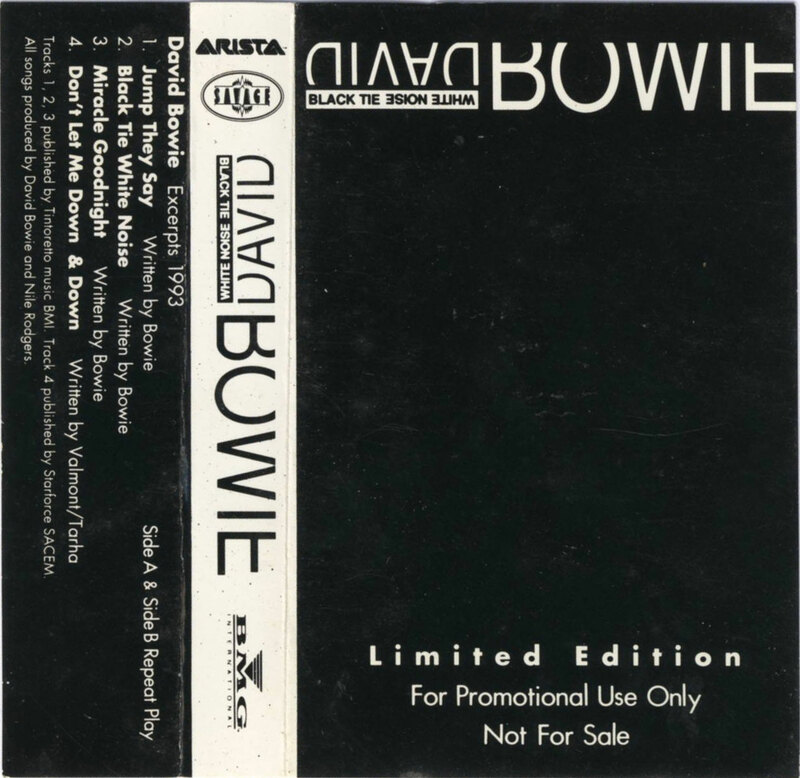 Limited edition promotional cassette from BMG/ Arista/ Savage. 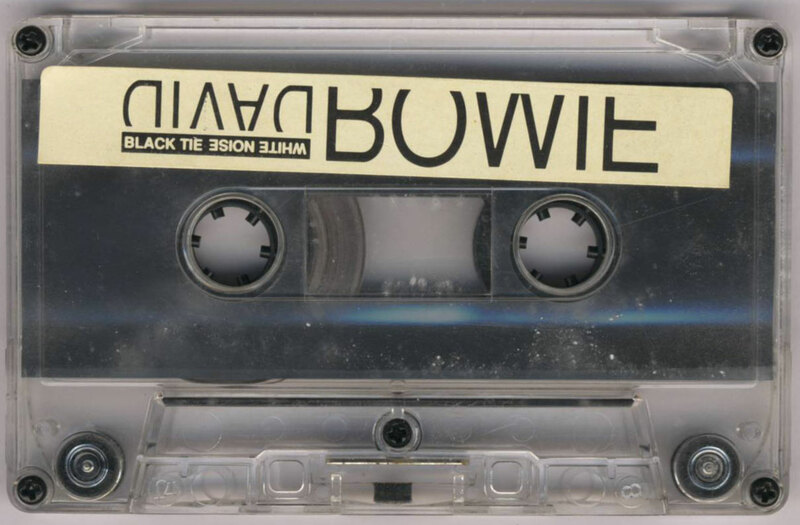 Cassette version of the ‘Excerpts 1993’ limited edition cd ep (DB-001). The cd ep was limited to 500 copies. Tracks: ‘Jump They Say’ (3:26); ‘Black Tie White Noise’ (2:08); ‘Miracle Goodnight’ (2:13); Don’t Let Me Down And Down’ (2:32). Cassette images courtesy of Maarten Kwant.